Houndrat.com » Blog Archive » Happy Debut Week to Kathleen Peacock and Hemlock: Vlog and Giveaway! Happy Debut Week to Kathleen Peacock and Hemlock: Vlog and Giveaway! Before I showcase my dorkier side, I need to announce the winner of last week’s contest. The lucky recipient of MASQUE OF THE RED DEATH by Bethany Griffin is…..Melanie! Melanie, I’ll email you for shipping deets–hope you enjoy MASQUE as much as I did! And now…on with the show! 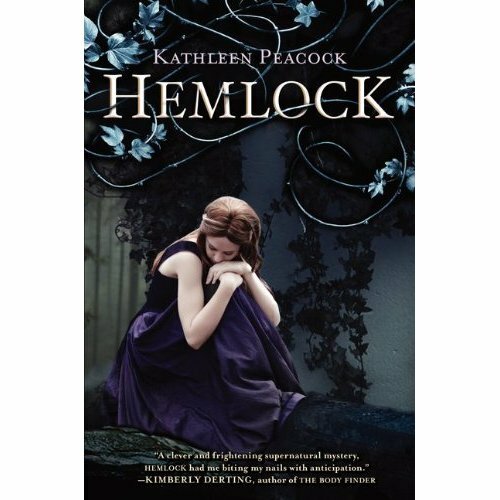 This week, I’ll be giving away not one, but TWO copies of HEMLOCK (HarperCollins/Katherine Tegen Books). (And HA! SEE THAT, KATH? Not a single mention of werewolf junk, anywhere! I is want this book so much. It’s so gorgeous, and I love reading Kathleen’s tweets, which means I’ll love the book too, right? I have heard so many awesome things about this book I can not wait to read it. I will keep my fingers crossed for this giveaway. THX for the chance. I get way to attached to my books too! So hard to give them up and thus the piles of books every where! HEMLOCK please be on my hands right now! Thanks for this amazing giveaway! I have been wanting to read this book for so long. I’m glad that I’m not the only one that gets attached to her books. Thanks for the giveaway. Um, Debra, I watched your video. You scare me a little, in a nice way, really…Thanks for the chance to win my own little Hemlock. I have heard so many great things about this book, i am definately looking forwards to reading it. Thanks for the giveaway. Loved the video!! I have a ridiculous amount of books. It’s hard trying to weed them out!! I just want to keep them all. Hemlock sounds brilliant! That video was great! LOL I liked the drive-thru the best! I can’t wait to read this book! Thanks for the giveaway! You scare me a teeny bit haha…though I get extremely attached to my copies too! Thanks for the giveaway…I’ll keep my fingers and toes crossed! Enter my 1 Year Blogiversary Giveaway! I just totally did the death laugh. You killed me. BAhahahahahaha! How much do I love you! And I must win Hemlock. I already have a carseat. haha! I love the vlog, ESPECIALLY the drive thru part. omg. that poor lady is thinking, “who let the crazies out?” ha! thanks for holding the contest can’t wait to read Hemlock! Woohoo! I would LOVE to win one! Sounds awesome, and thanks for the giveaway! Loved the vlog!!! So you! And would love a copy of the book. Everyone needs someone to administer Buffy quotes sometimes! Hemlock looks awesome! Oh, goodness, I thouht I was the only one who talked with her books. Not that I feel any better now. I mean crazing-out & everything, I’ll talk &spe d time with my books till death do us part!! Oooh I want this one so bad. The cover is GORGEOUS & I’ve heard so many good things. Thanks for the chance to win! hahaha your vlog killed me – especially when all the books are “naked!” I’ve heard great things about Hemlock and hope to read it soon…thank you for doing the giveaway! I’ve been wanting to read Hemlock for awhile, thanks for the giveaway! I’ve heard lots of buzz about Hemlock. Can’t way to read it! Thanks for the giveaway contest! Deb, you are awesome. Just awesome. And everyone should buy Hemlock because it’s fantastic! Ahh I’ve been hearing so many good things about Hemlock! I’ve been itching to get it Thanks so much for the giveaway! This book sounds great, and the cover is gorgeous. Thanks for the giveaway! Please, please, please…Ohmmmmmmmmm….Sending good vibes to win! Sweet giveaway!! Thanks so much for the giveaway!! I really want to read this!! 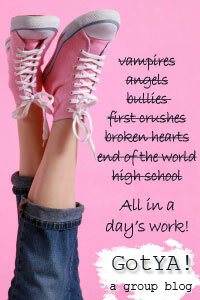 Sounds like such a good book and love the cover! thx for the chance to win a copy! Why would I ever pass up a book that inspired such a trailer?? Pick me pick me!!!! I would LOOOOOOOOOOOVEEE to win a copy of this book. Everywhere I go, people seem to be screaming about its awesomeness and HELLO Canadian author! It must be good in that case, right? Thank you for the fabulous giveaway! Would absolutely love to get a chance to win a copy of HEMLOCK! I’ve been fascinated by the book ever since the synopsis and cover were revealed! Hahahahahahaha! That video is EPIC!